Changes are rarely accomplished by individuals. People are social animals and changes are social processes which have to be organized. Social psychology is essential for the effectiveness and development of the field of change management. It is necessary to understand people in change processes. Social psychology also teaches us that meaning is key during change and intervention. Social psychology makes change management comprehensible to people and allows them to consider their actions in groups and the organization on their merits. They may seem obvious and self-evident, but practice and science, as well as the popular change management literature, show that it is not. 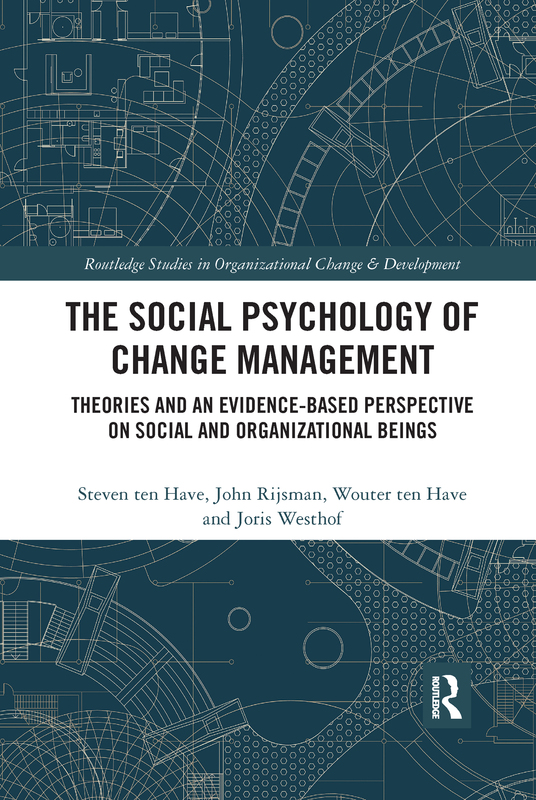 Drawing on the field of social psychology and based on primary research, The Social Psychology of Change Management presents more than forty social psychological theories and concepts that are relevant for the field of change management. The theories and concepts are analyzed and categorized following Fiske’s five core social motives; belonging, understanding, controlling, enhancing self, and trusting. Each theory will have an introduction in which its assumptions and relevance is explained. By studying the scientific evidence, including meta-analytic evidence, the book provides practitioners, students and academics in the field of change management, organizational behaviour and business strategy the most relevant social psychological ideas and best available evidence, thereby further unleashing the potential of social psychology in order to feed the field of change management. By categorizing and integrating the relevant theories and concepts, change management is enriched and restructured in a prudent, positive and practical way. The overarching goal, however, inspired by the ideas and perspective of leading thinkers like Kurt Lewin, James Q. Wilson and Susan T. Fiske, is to make the world a better place. Social psychologists (being social scientists) study practical social issues, in our case issues related to change management, and application to real-world problems is a key goal. Therefore, this book goes beyond the domain of organizational sciences.